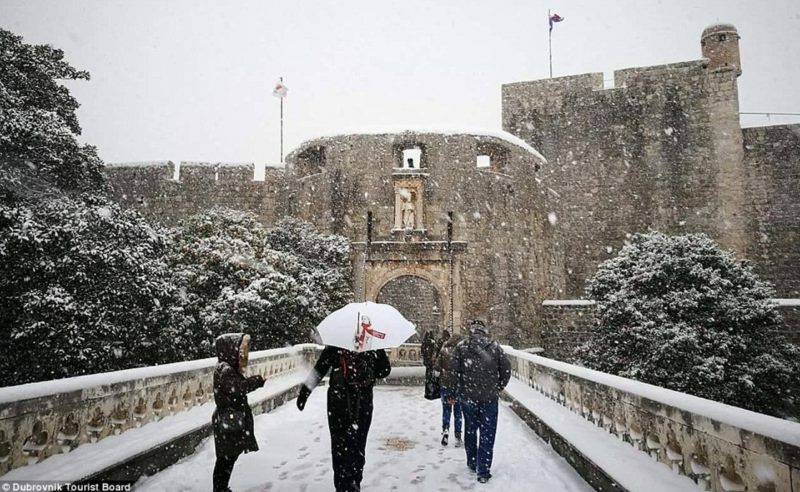 The respected British newspaper the Daily Mail devoted a few lines in its online edition to the snow that blanketed Dubrovnik this week. They point out how in recent days our city was covered by rarely seen snow for the first time in eight years. Jokingly, they point out that winter apparently arrived in Dubrovnik before it did in King's Landing, the city that Dubrovnik portrays in the Game of Thrones series.